The world is changing! A simple statement that is both obvious, yet at the same time is undeniably true with deeper implications for people with websites! Online especially, the web changes much faster than the world at large. In this article, we explore 3 ways to make the web work better for website providers. Really, really, really, don’t forget or ignore your website security. Yet there are three common ways hackers use to break into your website. So let's explore those now, and how to fix the issues before they become a problem. That (understandably) busy website providers focus most of their attention on their business initiatives and forget about their website security. Website software that is out of date, or that has weak points within a web content management system like Wordpress, Joomla, or Drupal. Remedy: keep your website software up to date, plus make sure all extensions and plugins are also up to date, and don’t use any extensions that are considered unsafe. This tip is especially important if you use Wordpress, Joomla, Drupal, or other similar web content management systems. Only update if you understand the process and are confident that your update will work correctly. If you're not sure, employ someone you can trust to carry out the work for you. Website security is an area that is just too important to cuts costs. Ask yourself: if you lost your entire website tomorrow, aside from the sheer business shock, how would you feel? Know what to do if your website update goes wrong and you need to restore from a website backup. Hackers can gain easy access to administrator usernames and passwords if these are (a) weak in construction, and (b) are not stored securely. Also, some great security extensions allow you to change to default reference ID used by your web content management system. In combination with other strategies, this simple initiative too can help deter would be hackers. Often, people may store usernames and passwords somewhere on a PC, Mac, or Tablet computer in ways that are not secure. If a hacker succeeds gaining access to a computer device that is not sufficiently protected, they can install malware onto your device that quietly activates and stores key details when you log in to and out of your website. Remedy: use a great password manager like 1Password from AgileBits to store your important usernames passwords. Today, lots of website owners use cPanel, Parallels Plesk Panel, or similar web hosting control panels to provide access to a wide range of features relating to management of their websites. Yet, if a hacker gains access to your cPanel or Plesk panel details, they then also have access to your entire website. Remedy: don’t store cPanel passwords openly on your PC, Mac, or tablet computer. Use a great password manager like 1Password (link above) to store your important usernames passwords. Tip: if you use cPanel, make sure that the icon called "Anonymous FTP", usually found under the "Files" category, is turned off, so does not allow anonymous FTP connections. If you use Parallels Plesk Panel, look for an equivalent feature and I suggest turn that off too. Unless you absolutely need the features that anonymous FTP provides, they can introduce an unnecessary security risk. Tip: if your website ever gets hacked, after changing your cPanel / Plesk username and passwords through your web host, change the username and password once again. Then, before you restore your website, check the "Anonymous FTP" setting again: most likely, the setting will be turned on. Turn it off. Tip: when you have finished your user session within cPanel or Plesk, or website admin, always log out. Don't just close the web browser window. Update: soon, 2-step authentication login for cPanels will almost certainly become available. If you apply 2-step authentication for access to your cPanel as well as access to your website, combined with using the latest versions of website and any extensions used, you can build a formidable, protected web presence that allows you to then, confidently focus most of your efforts on serving your visitors, clients and customers. If you use a great password manager like 1Password, or Keepass, you can also make sure you can easily create complex passwords - ideally, at least 20 characters long. Use a mix of upper case and lower case letters, numbers, and special characters like #, £, and ampersands (&). With a password manager like 1Password, you don't actually need to remember your passwords. Why: once you’ve created the password profile, you can use 1Password to automatically copy and past in web addresses, usernames, and passwords into their relevant boxes, and click the login button for you. So a single mouse click can replace 4 actions and reliably log you in within seconds, and you don't need to type anything. Key point: any website security is only as strong as it’s weakest link. So if you create some great high security initiatives, but make one basic mistake, that mistake can undo all of the hard work in other areas. Get the fundamentals right. Great website security is a strong deterrent. Tip: If you use a password manager like 1Password or Keepass, you can help bolster your online security just a little more, by not allowing your web browser to remember any usernames or passwords, and instead, rely on your password manager to handle that function. While having secure passwords is a great idea, you also need to consider what happens if you can't access your passwords. Therefore, make sure you have multiple copies of your password manager files, ideally stored off-site. That way, if your PC, Mac, or tablet computer breaks, or becomes inaccessible, you still have instant access to your password files from your other sources. Ideal options include cloud services like Dropbox, Box.com, Google Drive, and so on. Just make sure that your password manager encrypts all of its backups with a high level of security. Consider using 2-step authentication to access your website admin control panel. In Joomla sites, we use a great Component called Admin Tools from www.Akeebabackup.com. This provides a robust Google-type 2-step authentication method. The correct 6-digit randomly generated code - that changes every 60 seconds. The 6-digit code comes from the free Google Authenticator app. Although the login process sounds difficult and unwieldy, with a little practice, you can log in about 30 seconds. Key tip: another reason to bolster up your website security: if your site gets hacked, you could get blacklisted by Google and other search engines, until the problem is fixed. Blacklisting can be an expensive pitfall. What Can Happen If You Don't Sufficiently Protect Your Website? An amazing 9,500 web sites are blacklisted every day by Google, Yahoo, Bing and other search engines because hackers have injected malware or viruses into a website. Naturally, search engines don't want their users to get infected through something they found on a search engine. Of these blacklisted sites, 43% seem to be permanently stuck, never getting off the blacklist. Why: the website owners (understandably) don't know how to remove the infected code, or they have never made a backup of their website, or don't know how to restore a website backup. Get help with all of these issues. Less than 5% of all websites are sufficiently protected from malware and viruses. What a gift to unethical hackers. About 63% of website owners don't know they have malware or viruses installed on their website. Key Point: a hole in your website security can undo all your other website promotion efforts in under 5 minutes. So I recommend, fix your website security before spending money on website promotion strategies. Don’t be one of those statistics above. Think ahead, get smart, and make hacking your website so annoying and hard that hackers simply prefer to go away. Always make regular full website backups, so that if your site does get hacked, you can recover as soon as possible. For a hacked website today, usually, website recover is made easier, cheaper, and quicker by simply deleting the entire current website, and then restoring from a known good backup. And of course, change all of your usernames and passwords - ideally using the guidelines above. As soon as possible, make sure your website uses responsive web design. Why: responsive web design is arguably the single most powerful strategy that you can do to help make your website mobile friendly and desktop friendly at the same time. As fewer and fewer people are using PCs, many more people around the world are investing in lower cost mobile devices like tablet computers and smart phones. 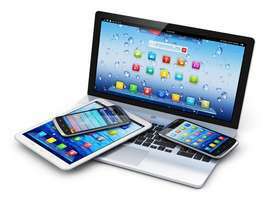 If your website cannot automatically adjust its display for each of these devices, as a website owner, you’re almost certainly going to lose sales. A website made with responsive web design fixes that issue. That’s why at www.InternetTIPS.com, we now only create websites that use responsive web design and are mobile friendly. Anything less just won’t be sufficient today. With a responsive web design based website, you can also include YouTube videos, Vimeo videos, etc., within your article pages and make sure these videos also display in a responsive, mobile compatible way. So you can combine responsive web design, mobile, and video - with its predicted explosive growth - to create a powerful attractor to your website, without any additional promotion strategies, and still gain new visitors. At the time or writing, Over 50% of Americans now have smartphones. For the forseeable future, almost certainly, the number of smartphone users will continue to increase. But if you focus just on the USA, you’re turning down potential business and sales. Key discussion point: perhaps the international market for your products or services maybe larger than within the USA. Research to find out. Resist assumptions. A 2012 Pew Internet survey also revealed that 55 percent of Americans have used a smartphone to access the web, and a staggering 31 percent say it’s their primary way to connect to the web. If your website does not include or make allowance for small screens / the mobile market, you could essentially be blind to 50% of potential buyers. The essence of this tip: consider using social media - but differently. People think social media has matured, but I suggest that social media has only just started. Social media will of course evolve during the coming years. Social media companies will come, and go. But the idea of sharing socially online, for all its flaws, looks set to stay with us perhaps indefinitely. Until recently, I didn’t get too involved with social media services like Facebook, Twitter, Linkedin, Google Plus, etc. In fact, some time ago, I created a Facebook account, built that up, then changed my mind, and deleted the entire profile. Then I started again and decided to spend some time with Facebook. Why: originally, my view was that social media can be an enormous time hog, and take a lot of effort for little return, plus I was too busy on other areas like website creation, writing content and creating articles. Every day we hear about the countless hours that businesses invest in "social media time", and how such investments lead to little or no benefit. Then there are the privacy concerns. A growing number of people are becoming frustrated at social media and deleting all accounts in a single swoop! Yet others equally are having a great experience with Facebook, Twitter, Linkedin.com, Google Plus, and so on. Today, my view though is that we don't need to rush in. Take time to study, learn about and understand social media first. Don't necessarily follow just because everyone else seems to be using social media. You need to have solid reasons and benefits to make the exercise worthwhile. Key point: what might start off as an amusing exercise, could develop into an engrossing new business opportunity for you, that you take to like a duck to water. You may also discover a new you on the social web! But remember, what you say online, gets stored for ever, so be mindful and careful about what you say. To start off though, we need to understand what motivates people to act in our sphere of business. And then perhaps consider which social media avenues, if any, are worth your time investment or gel with your preferred ways of connecting with people online. For me, I wanted to wait until I felt that the social media landscape was more stable. Now, I think that time has arrived. Now is the time to test, experiment, learn, explore, discover, dive in and watch what develops. This year, I expect that Google Plus will make big gains in social media as Google place Google Plus at the heart of everything they do. Each social media platform has their own flavour of how they interact with the web. If like me, you have held back on using social media, I suggest give it another look. Take some time to learn about the 4 or 5 main social media tools, and the new ways of interacting with them. Rather than just posting to social media without a plan, explore ways to make social media services work for your business. And always aim to divert users back to your website, for that is your "mothership", your hub, from where all business web activity should be co-ordinated. Who Does What In Social Media? Arguably, at the time of writing, Facebook and Twitter are the two most important social media platforms. But your website theme may dictate another social media platform is a better fit for you. Test. Facebook is absolutely no longer just for home users. Business can work too if implemented with consideration and respect for others. Twitter allows a surprising amount of meaning to be shared in 140 characters, sometimes more. Google Plus, is the next most popular social media platform. I expect this to rise significantly in 2014 and beyond. In fact, Google Plus may outlive them all. LinkedIn is great if you want to connect with other professionals and career-driven people. Pinterest seems popular if you want to attract more female buyers. Use YouTube, Vine, Instagram, and Google Hangouts to attract people who like visual information instead of text. Use unique article marketing on social media platforms to help solve user problems and create long term SEO value with search engines like Google, Yahoo, Bing. Use SlideShare.net to target users who like presentations. 73% Of U․S․ adults now use social media networks (source: TechCrunch.com, December 2013). If you believe social media can be beneficial to your business, you can combine social media communication with mobile devices, to get your message out to people who are often constantly connected to the web. ... to put together a superb web marketing "machine", customized for your business style, working for you 24 / 7 / 365. What do you think? Let me know how you get on.